The building at 217 West Main Street was built first as the Bank of Lafayette in 1898 and was sold a few years later to the town to become the first City Hall. George Knapp designed and personally supervised the construction of La Vieille Mairie. Born in Indiana, Knapp married a local woman and became a self-taught architect by studying through a correspondence school. He is remembered as the designer and builder of The Masonic Hall (20), The Gordon Hotel (21) and the Mount Carmel Convent. He died in 1949.The building has no specific architectural style but does reflect elements of the Italianate commercial style. In 1977 the building became the home of the Council for the Development of French in Louisiana. CODOFIL is known locally and internationally as the only state agency in the US to promote the French language. The agency was presided over by Cajun cultural activist and former Congressman James Domengeaux. Under his leadership, CODOFIL shone a light on the French language and culture of the 22 parish area known as Acadiana. In 1999, a survey conducted by locally owned newspaper the Independent named Mr. Domengeaux the Most Influential Person of the 20th Century. Though Mr. Domengeaux could barely speak French, his family had maintained a strong attachment to the local Cajun and Creole culture since the French Colonial days in Louisiana. 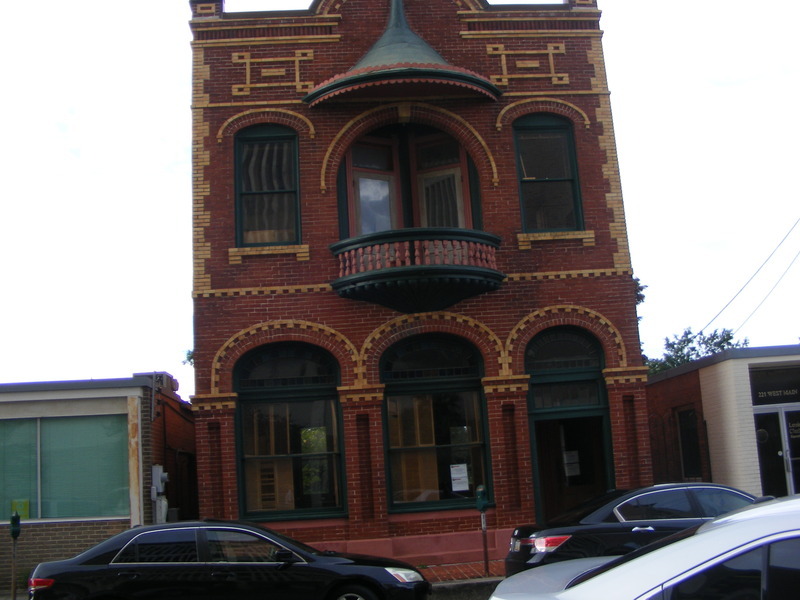 Over the years, this building has also become known La Vieille Mairie, or the Old Town Hall of Lafayette,and was the first building in Lafayette to be placed on the National Register of Historical Places. La Vieille Mairie is owned by the City of Lafayette and is currently under renovation. CODOFIL is temporarily housed at 735 Jefferson Street. La Vieille Mairie on National Register of Historical Places. Architect George Knapp born in Indiana / né en Indiana. Design: Clayton Martin House (6), Masonic Hall (20), Gordon Hotel (21) et le couvent Mount Carmel. Il est mort 1949.